This Nov. 8 marks perhaps the most polarizing election any of us will ever live to see, but at its core it stresses the most important part of our democratic system: getting out and voting. If you're wondering how to change your Facebook profile picture to say you voted so that you can remind your friends and neighbors to do the same, the good news is that it's incredibly easy to do just that. In fact, there is a website called "Twibbon" that allows users to change their Twitter and Facebook profile pictures to say any number of things, depending on which campaign you choose. The campaign will then allow you to preview your profile picture, and crop it or shift it if need be. Once you're finished, you can either select to add it to Twitter, which Twibbon will do for you automatically, or you can select to add it to Facebook. If you choose Facebook, stick around — you have one more step to go! Facebook users will find their images automatically uploaded into a separate "Twibbon" album on their personal Facebook pages. From there users can click in and set them as their profile pictures. Et voila! 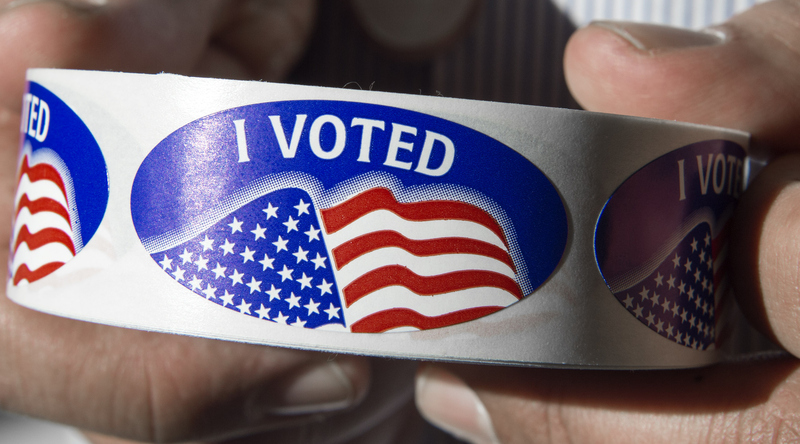 The world knows you did your civic duty today. You're not limited to just those options, of course, because Twibbon has plenty of other "I Voted" campaigns currently running. Fair warning, though: Twibbon will also automatically post a link to your Twitter or Facebook letting other users know how to change their own profile pictures to match yours. If you'd rather not have the link up, you're free to delete it, and you won't hear from them again.